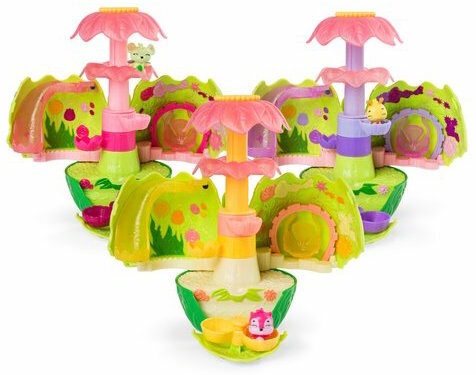 Hatchimals CollEGGtibles Secret Scene Playset is a fun, colourful egg covered in vibrant flowers. 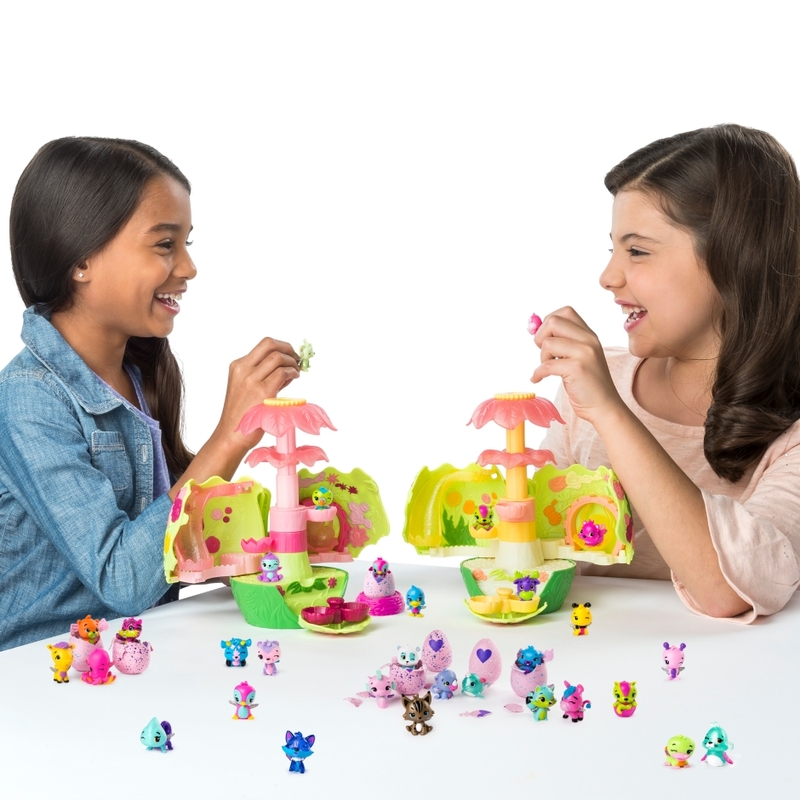 With 15 places to play and display, this magical, secret world made just for Hatchimals CollEGGtibles will keep your little ones busy for hours. Hold the egg up to the light and look through the flower to discover one of three secret scenes. 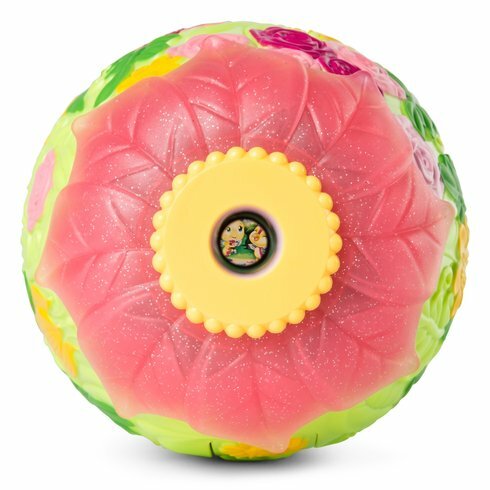 Pull the flower and open the egg and see what Glitter Garden you've hatched. Will you discover Bubblegum Bloom, Lala Lavender or Sunshine Sparkle?? Collect them all! 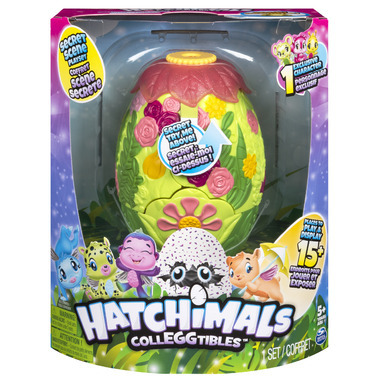 Includes: 1 Hatchimals CollEGGtibles Secret Scene Playset, 1 Hatchimals CollEGGtible, 1 Instruction sheet. 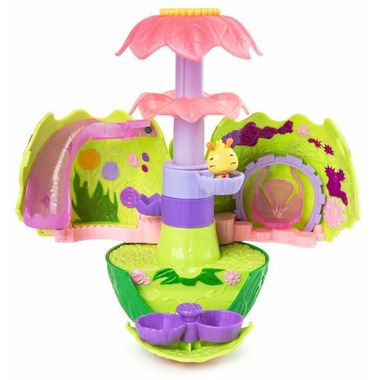 CHOKING HAZARD: Small parts; not recommended for children under 3 years. Please Note: You will receive one of the following assorted colours: Bubblegum Bloom, Lala Lavender or Sunshine Sparkle.